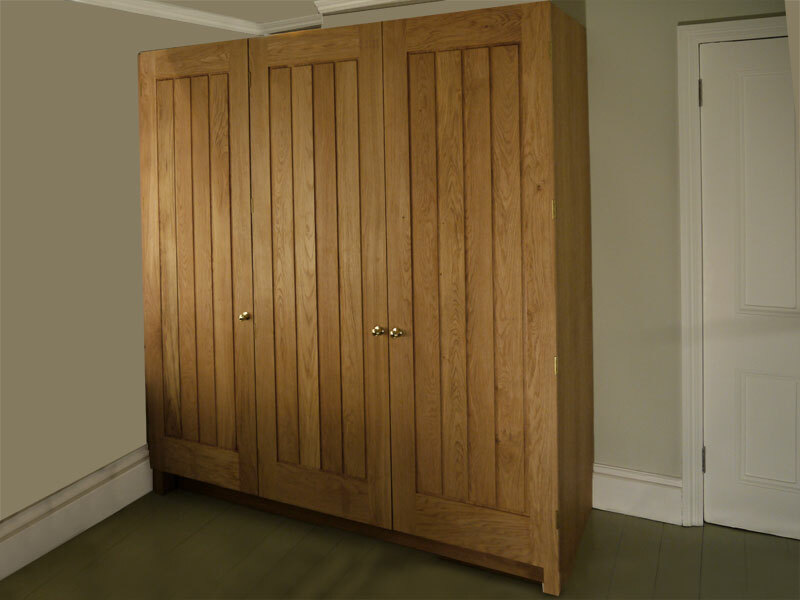 The ‘Donaldson’ Wardrobes were a pair of semi-fitted units for two bedrooms at a client’s holiday residence. 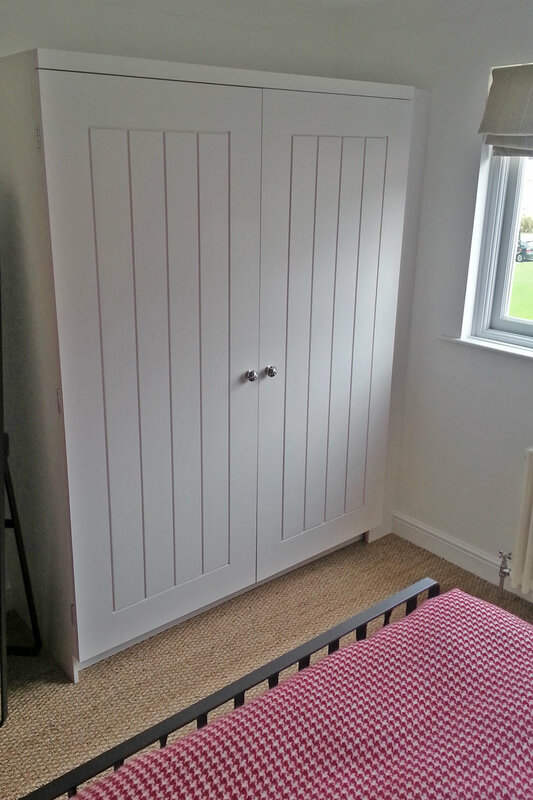 As such, space was required for the storage of a range of clothing items, including shoes and power was also incorporated into the wardrobes to facilitate the charging of electronic devices. The painted design subtly echoes the coastal location of the residence with an uplifting splash of colour when the wardrobe is opened. 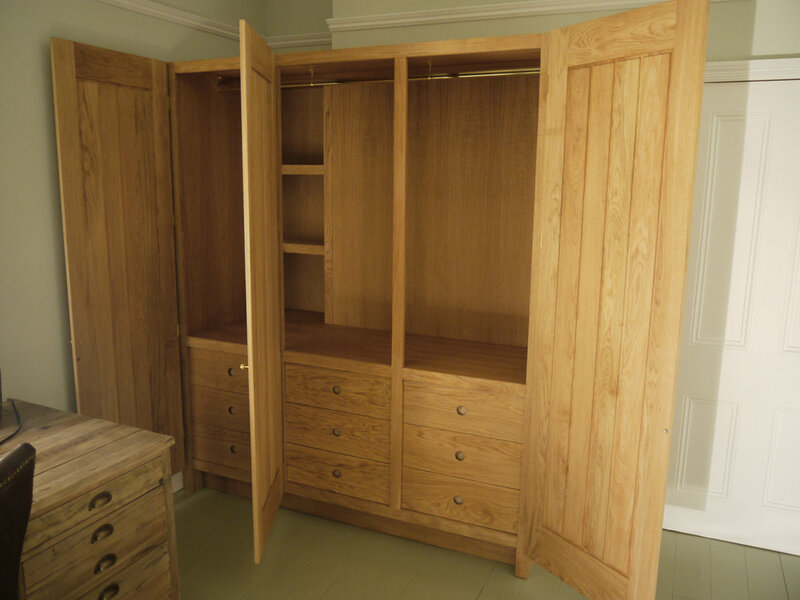 A separate but similar commission followed, as a result of the painted wardrobes, for an oak unit to provide additional storage in a client’s London apartment. 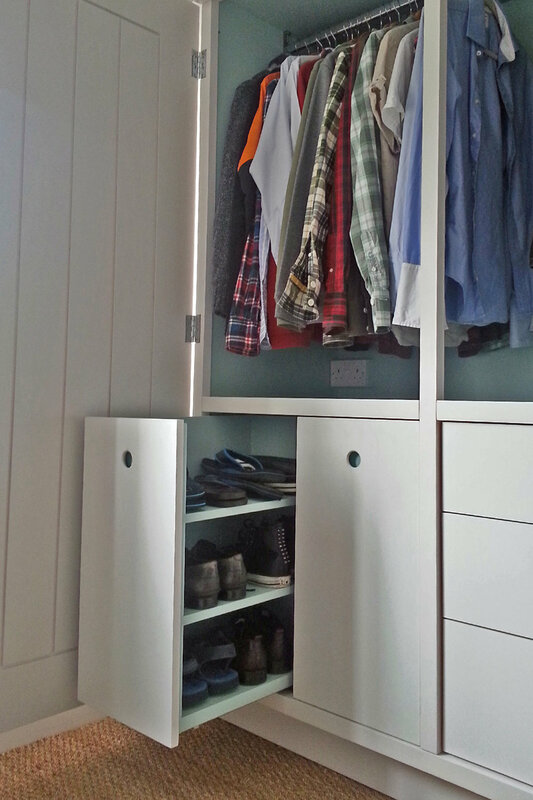 This unit was L shaped to incorporate and utilise a space, which would otherwise have been lost, as additional occasional storage space.